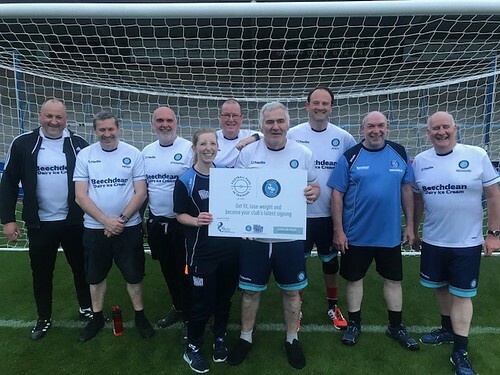 A year ago today I walked into Adams Park and started the second phase of my dietary & nutrition education and physical exercise with a 12 week programme when I joined FFIT (football fans in training) – together with the cardiac rehab. this has had such a positive impact on my life since then. Just as important are friendships and support from the guys I met then and since from the subsequent FFIT teams which has even extended to the parkruns on a Saturday morning and circuit training on Monday evenings – so, thanks Sam Parker, Andy Homent and all the FFIT guys! If you are interested please contact Sam Parker by email [email protected] or phone 01494 455736 as soon as possible. I notice a few of you have clicked on my profile and visited to my blog, I hope that ‘my story’ inspires you to take care of your health & fitness and acts as catalyse to improve your own wellbeing. 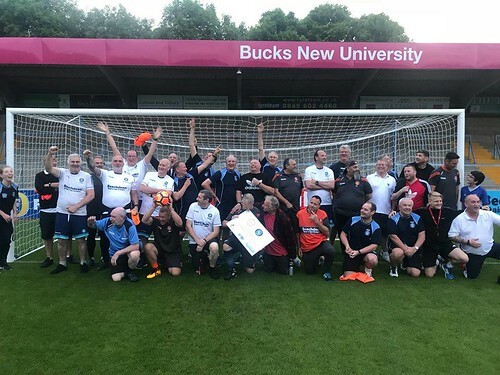 Last night we held our 1st anniversary celebration by holding a walking football match on the Adams Park pitch, all FFIT teams took part and my thanks goes to Sam Parker for what was a highly enjoyable evening. Need to get those knees out in the sun @Jocks_little_helper. Looks like it’s going to be in short supply over the next few days. A much more typical Bank Holiday weekend with thunder thrown in for good measure. Brief window of opportunity to get that grass cut on Saturday afternoon! Which lawn though @micra , East or West, North or South? So much acreage! Sorry, that was a private joke between me and @Jocks_little_helper some time ago when unseasonal snowfall prevented him from cutting his grass. I think it must have been on FB as his post included a picture of his snow- covered lawn. My own lawns are currently pristine. My dandelions and buttercups could do with a trim, looks like that’s my Saturday afternoon sorted. You’re not the only milk bottle then ! Hope you’ve sorted out the health issue that was troubling you last week. Not really, gone from 5.0 to 2.5 to1.25mg bisoprolol over the past 4 weeks and my rate heart remains altered while BP has dropped slightly!